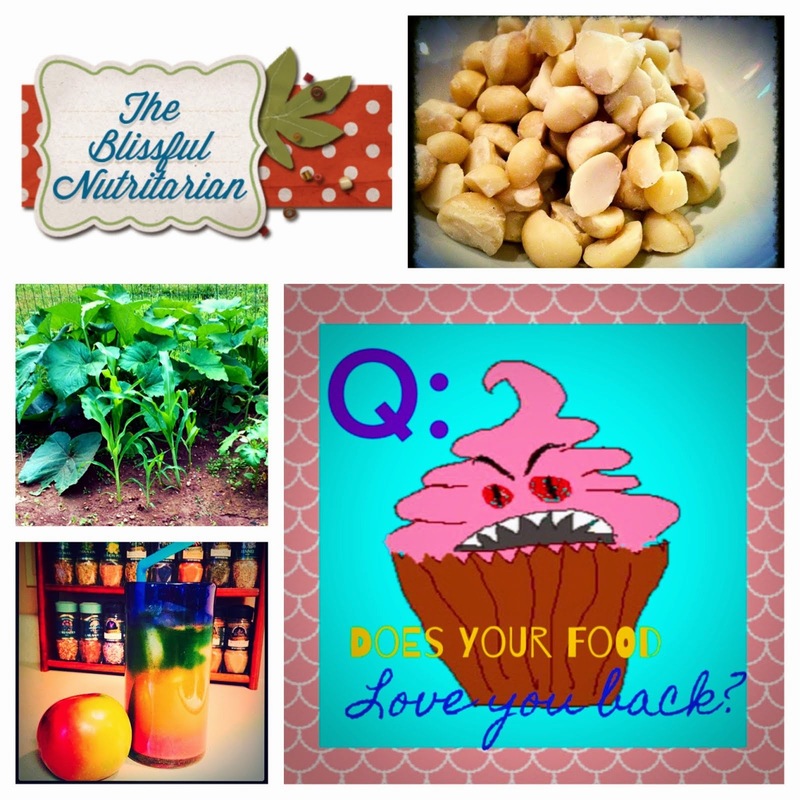 The Blissful Nutritarian: No, make THESE Nutritarian Cookies! Oooh BABY! 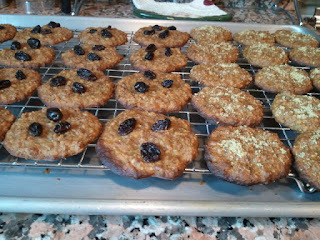 Ok ok ok, so last time I posted about cookies and yes they were yummy but then, ooooh then, I found a recipe in my friend Nicole's cookbook (name? I forget) and tweaked it to make it a Nutritarian recipe and VOILA! 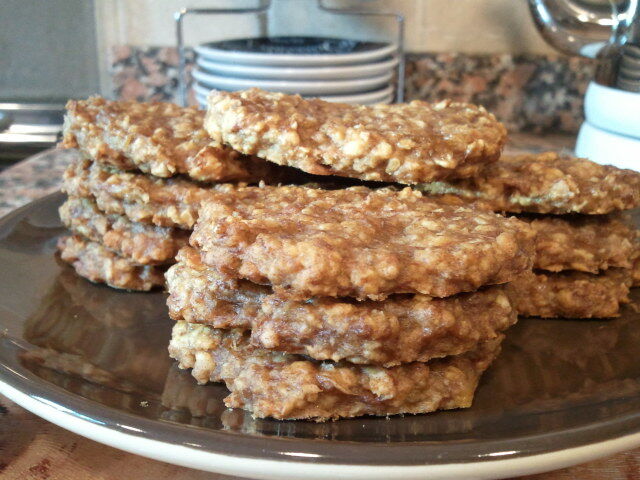 Jemoiselle's Awesome Nutritarian Spiced Banana Oat Cookies were born! Everyone loves these bad boys, I mean everyone! They are easy to make, cause the kitchen to smell incredible and intoxicating, and please even the non-Nutritarian palate. I can't keep my Husband out of these! 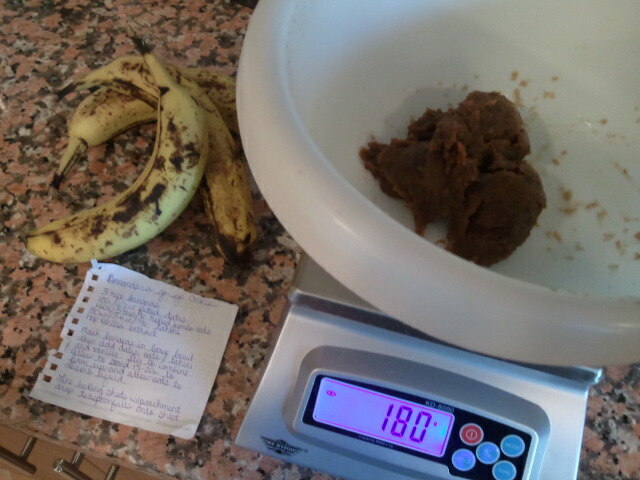 ;) Warning, I weigh my ingredients. 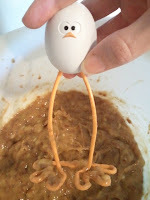 Mash bananas in a large bowl with potato masher until smooth and creamy. Weigh all ingredients into a large bowl one by one, then stir until satisfied! and allow to sit for approximately 20-30 minutes covered with plastic wrap at room temperature for oats to absorb liquid and firm up a bit. In this time, preheat the oven to 350f/180c. 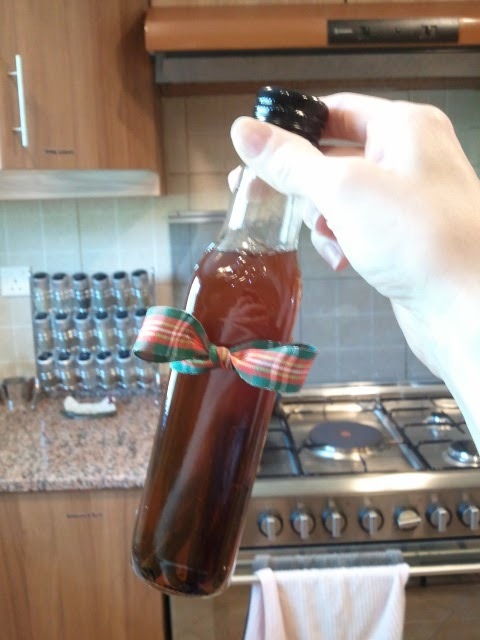 My homemade vanilla extract, no sugar! 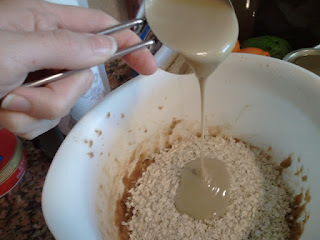 Using a small melon baller, scoop onto non-stick cookie sheets, please don't add any "fat free scam artist 100% pure fat spray" or anything else besides maybe silpat sheets or parchment, they will stick a little but with a little love you'll be fine. Now get in touch with your inner passive aggressive and bang the pans on the counter to help the cookies spread into the classic "cookie" shape! There, don't we feel better? 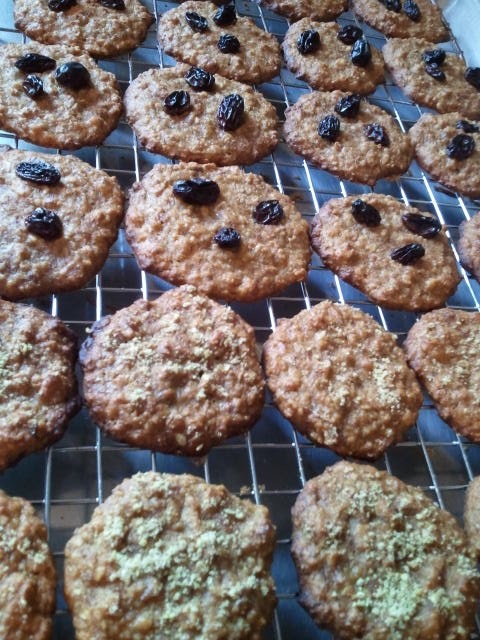 I like to think about slow moving cars and sales that happen the day after purchase for my cookie banging session! 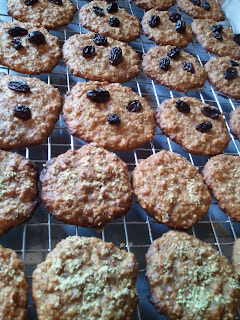 Sprinkle with flax seed or place raisins or chopped nuts on top. Whatever! Be creative! 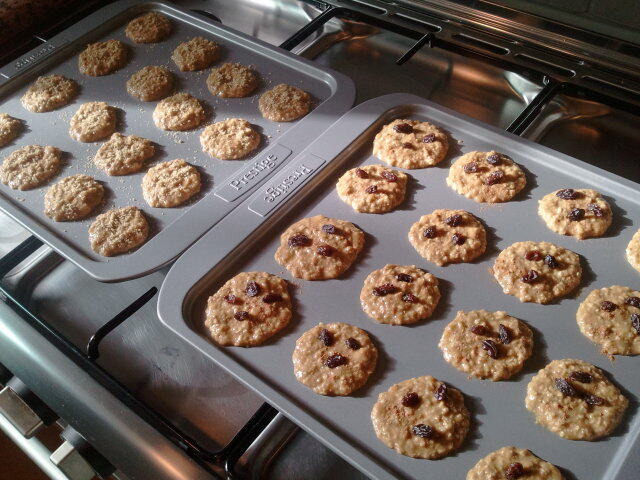 And for gosh sakes, don't eat the whole batch thank you very much! 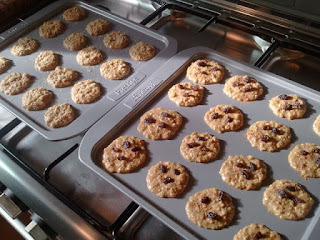 Bake for 20-30 minutes, depending on how crisp around the edges you like them! And that's it. Seriously, this is not a Lay's potato chip day, you don't HAVE to eat the whole batch! Take it easy, have your greens and beans before these puppies, and enjoy being thin AND eating your cookies too. Kind of like having your cake and eating it too, only I haven't made a nutritarian cake recipe so....I digress! Thank you so much for trying them! I was really surprised how tasty nutri-cookies are and how much my son loved them! Thank you for visiting my page!